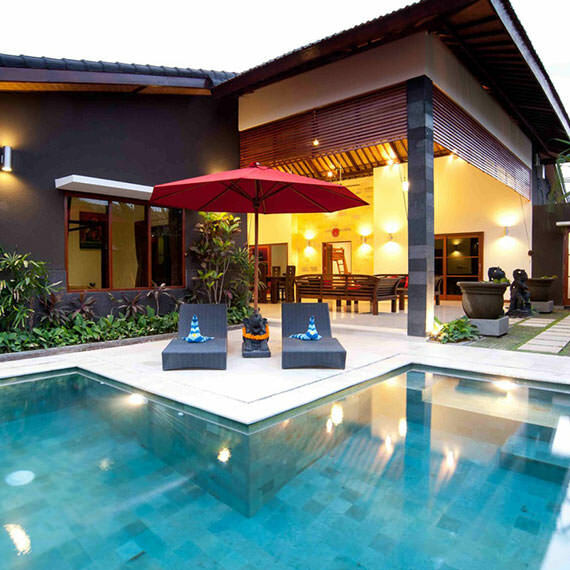 Our Seminyak Bali Villas offers a balance of style, ambience, comfort and location. 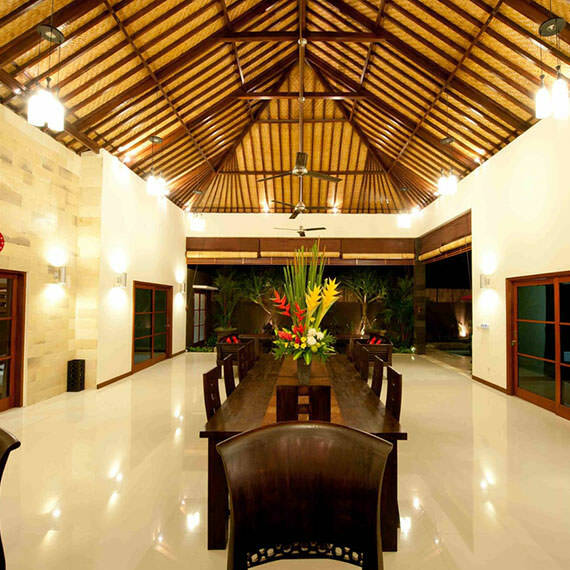 Ideally located you can take advantage of all Bali has to offer. Only minutes to Seminyak where there awaits world class dining venues, chic boutiques and shopping, live entertainment and nightlife. Inspired by the philosophy of the Chinese tranquility symbol Pulau Tenang Seminyak Bali Villas has come to provide our guests with opulent accommodation in a tranquil and private setting. With endless opportunities for fun and relaxation, our Bali Villas are also an ideal pad for energetic families or large groups of friends. A fusion of “Traditional Bali Villas“ with all the modern comforts with open air living, tropical gardens and your very own private pool. Enjoy the peace and tranquility with your family and friends then forget about the world you have just left behind. While you rest and rejuvenate our friendly staff and Bali villa manager will be there to take care of all your needs. Our Seminyak Bali Villas can provide you with the best of both worlds.